There have been some great examples of peacocking in pop culture. 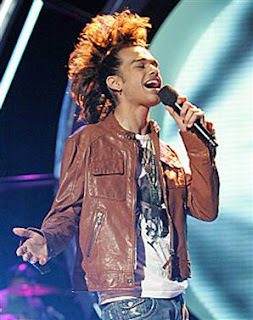 One need only look at American Idol to see how a no-talent assclown named Sanjaya was able to advance far into the competition by standing out from the crowd (see above). Even something as simple as a “loud” shirt, a funky hat or a flashy belt buckle (which brings attention to your crotch!) can do the trick. I came across peacocking by accident one night when I showed up at a college sports bar in a full tuxedo. Worked very well. I personally like a nice standout t-shirt (my favorite is a black one with Nosferatu on it) and a retro sports jacket. This frequently gets attention and has led to COUNTLESS conversations and possibilities.